If you guys read my post about how I’ve been saving HUNDREDS of Dollars every month, you all know how serious I am about saving and stretching these coins. This year I planned a vacation to Los Angeles for $500 (give or take) and I want to share with you how I kept costs low. 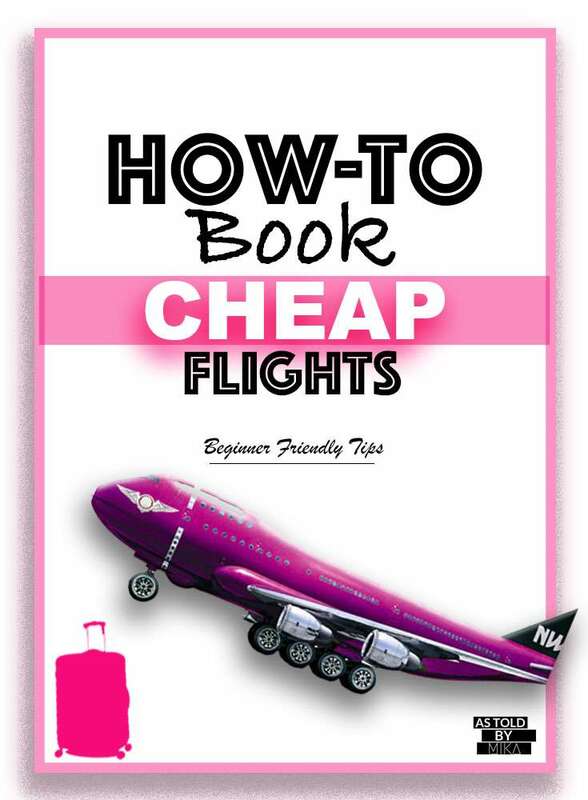 As soon as you’ve decided on your vacation destination begin, start looking at the prices of plane tickets. I’ve been looking at ticket prices since December. I also set up alerts on different sites to notify me when ticket prices have dropped. Tuesday Morning, before 3 pm. Yes. Airlines put their deals online Monday Night/ Tuesday Morning and airlines try to match one another throughout the day. It absolutely worked for me and I recommend trying it. I mean, why not? You’re begging for high ticket prices if you don’t. Being a little flexible about when you want to book plane tickets can save hundreds of dollars. I hate layovers but they do cut costs tremendously. I often do book flights super early in the morning or later in the day, times that a pretty unpopular and inconvenient for others. Websites like Priceline, Expedia, and Kayak promise to give the lowest prices for airfares but when I took the time to check all these sites and the individual airlines, booking straight from Jet Blue actually had the best prices. Be willing to take the time to really price tickets so you don’t cheat yourself. I LOVE flying JetBlue and my Roundtrip ticket was $240 +fees so that was a big win. At one point I saw tickets as low as $187 but I missed out by waiting too long; if you see a good deal, go for it and don’t press your luck. As you have probably seen with Facebook who literally stalks anything that you ever Google, your browser saves search info. Allegedly, travel booking sites and airline websites use this information to boost up prices because you searched for flights to X destination 10 Million times. I actually tested this out and the prices shown on my phone (where I googled searched plane tickets a million times) were in fact a tad bit higher than the prices when I looked on my computer. If you’re looking to save money on future flights, be sure to pin this post for later. You may also like to Know How I Saved $500 in just one month with these tips. Housing Works “Buy The Bag” Thrift (NYC): 1 Bag of Clothes = $25!